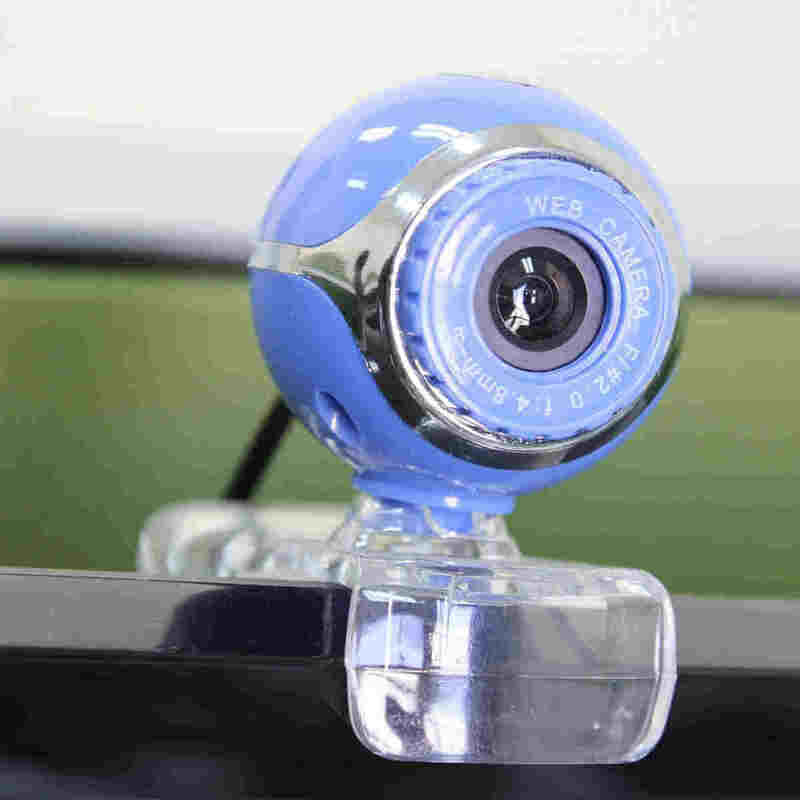 Webcams are miniature (sometimes hidden) cameras attached to computer systems. These cameras are basically designed to provide optimized audiovisual sensation during remote conversations or gaming. Although, recently developed computer systems are equipped with built-in HD webcams, you can get a much better resolution in 4K webcams. Hence, we have compiled a list of the best 4K webcams available on Amazon. While no computer system can boast of a built-in 4K webcam, any standard computer (Windows, Linux, Mac and so on) can enjoy the 4K experience simply by connecting an external 4K webcam to their computer. With this, you get the best of live streaming sensation, as well as well-detailed pictures/videos during live chats/streaming. One obvious stumbling block, however, is identifying which of the available 4K webcams is suitable for you. To address this, we bring you reviews on five of the best 4K webcams, which are available on Amazon – world’s number one online market. Logitech is arguably the most prominent webcam manufacturer in the world. And it comfortably takes the lead (as the best 4K webcam developer) with its superb Brio 4K webcam, which is widely regarded as the most advanced webcam in the market. 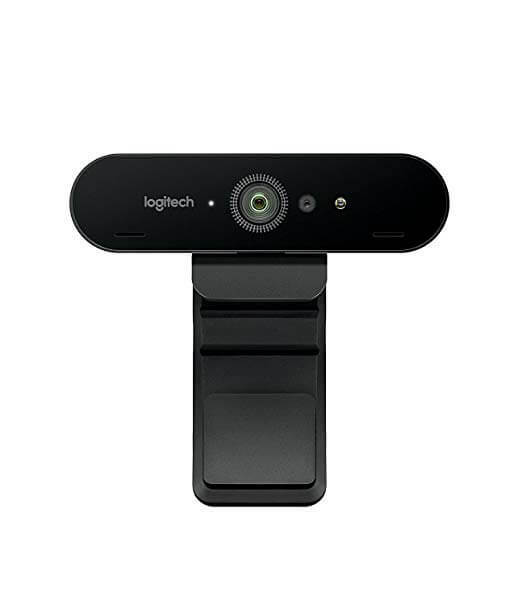 Moreover, Logitech Brio Ultra HD webcam incorporates some of the best obtainable specs/features of any webcam. It has a 5x HD Zoom capacity, HDR-support, IR facial recognition, multiple resolutions (2160 pixel, 1080p and 720p), flexible stand, Windows Hello (for Windows computers), Background noise filter and more. The multiple resolution support allows you to change the webcam’s resolution as you see fit. For instance, the 2160p (4K) resolution provides detailed structure of your face (including sweat pores, goose pimples and the likes) during a live chat; hence, if you don’t want this, you can easily tune down the webcam to the less resolute 1080p or 720p. Another noteworthy feature of Logitech Brio 4K is the RightLight 3 technology, which uses advanced AI system to automatically modify videos/pictures to suit every lighting condition (gloomy or flashy). Hence, even in a low-light condition, you can still get a near-perfect video recording or streaming experience. Furthermore, the Brio allows you to view videos/pictures in three viewing angles – 90 0, 78 0 and 65 0. This provides you with a wide diagonal, horizontal and vertical view. Logitech Brio Ultra HD webcam is available at Amazon. Mevo is another webcam that offers 4K recording. Although, it is basically designed for mobile devices, you can connect it to your computer by using an OTG USB cable. This means you can enjoy 4K resolution wherever you are, even on the go. With this, Mevo stands out as one of the best 4K webcams in the market. Mevo comes in two variants: Mevo and the advanced model, Mevo Plus. Both webcams offer the 3840 x 2160 pixels resolution, real-time audio/video editing, built-in stereo microphone and a limited battery life (up to one hour). 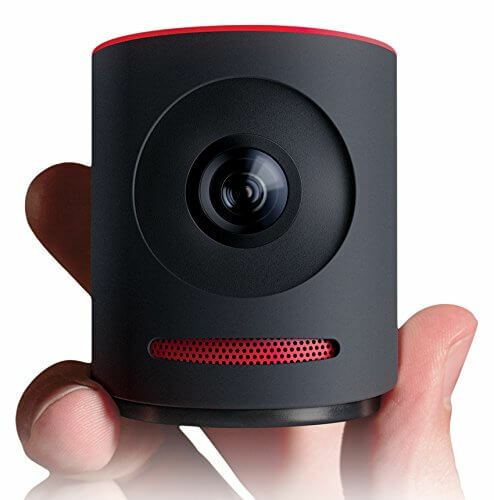 The most significant feature of Mevo, apart from the 4K recording, is its unique portability: Standing at 2.5″ (63mm), you can record a video on Mevo, and the subjects (or audience) would not be aware. This makes it very ideal in expedient situations in carrying out investigations and the likes. As such, it is a suitable webcam for journalists (amateur or even professionals). Other key specs of Mevo include: Bluetooth (4.1) support, 802.11 ac Wi-Fi chip, 2×2 MIMO (for optimized connectivity for video streaming), dual analog MEMS microphone, 150o lens (diagonal view), flexible (modifiable) stand, MicroSD support, Mevo app (for sharing recorded videos on Social media platforms) and more. 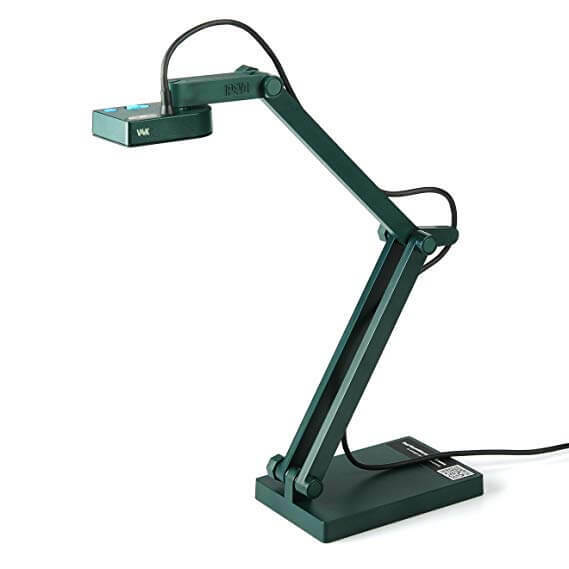 IPEVO V4K is a specially designed 4K webcam for scanning documents, barcodes, books and so on. Although, it is also well-equipped for live chats and video streaming, it is better known as a “document/presentation camera”. The V4K allows you to stream in ultra high resolution of 3264 x 2488 pixels at 15 frames per second. You also can capture scenes in 1080 pixels, at an improved fps rate of 30. IPEVO V4K Ultra HD Webcam hosts an 8 MP camera, with a maximum 4K resolution of 3264 x 2488 pixels. 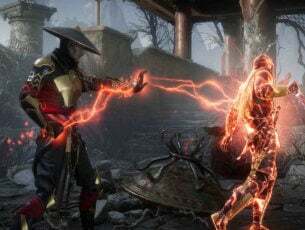 There is also a low-latency support, occasioned by the optimized FPS rates, which provide a lag-free streaming experience. Other notable features of IPEVO V4K SONY CMOS image sensor, multi-jointed stand, cross-platform compatibility (Chromebook, MacOS and Windows), built-in sound system, and more. 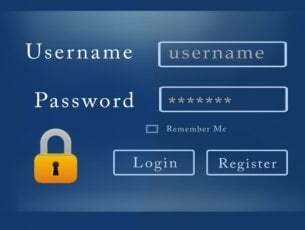 It works perfectly well with notable computer software like Viber, Skype, Google Hangouts and the likes. The 4K UHD Webcam from AverMedia is one of the newest 4K webcams in the market, providing flawless video recording and live streaming. Equipped with 4K optics, you get the best resolution obtainable for your live chats and video streaming. The webcam is supported on Windows 10/8/1/8/7. The 4K resolution is aptly optimized by an built-in image sensor, which ensure you are able to record scenes in high powered 4K, and stream videos in near-perfect, life-like, display. The PW510 is equipped with the following specs/features: 2160p at 25fps (frames per second), 8 MP camera, 4K CMOS sensor (Exmor model), wide angle field of view (diagonal – 94o, horizontal – 85o and vertical – 55o), privacy shutter, noise reduction (2D), USB connectivity (type-C connector), backlight support (in low-light conditions), and more. Like most 4K webcams, the PW510 also supports multiple resolutions, as the 4K (2160p) can easily be tuned down to 1080 pixels, 720 pixels, or even all the way down to 320 x 180 pixels. Furthermore, its design makes it fairly easy to set up; requiring only a “plug & play” process. Also, it offers 4K support for prominent streaming services like Open Broadcaster Software (OBS), XSplit, RECentral Software and more. AverMedia 4K UHD Webcam is available for $458.90. 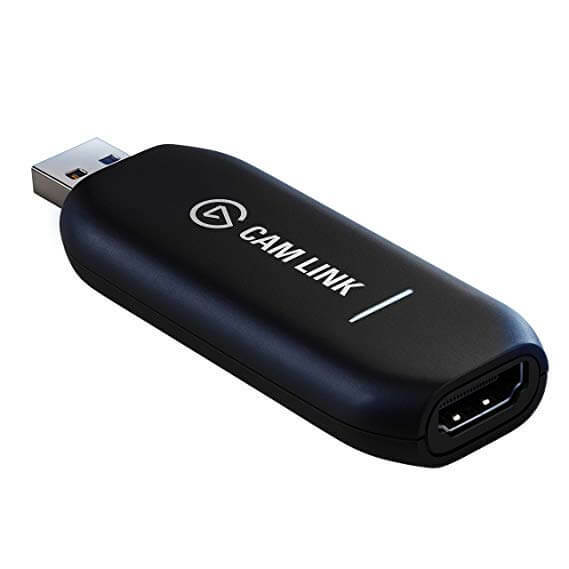 Cam Link 4K is not a conventional webcam; it is rather a HDMI video capture device. However, it has the capability to modify a standard DSLR/camcorder/action cam to a webcam on computer systems. With a connected Cam Link 4K, your camera appears like a 4K webcam on various apps (Skype, Viber, etc.). As such, you can enjoy live chats and record videos in 4K resolution. A Cam Link 4K-enhanced camera is able to record videos in 4K (2160p) resolution at 30 frames per second. You can also record/stream videos at a lower resolution of 1080 pixels (at 60 frames per second) or at a much lower resolution of 720 pixel (at 60 frames per second). Cam Link 4K is supported on advanced computer models, specifically MacOS Sierra 10.12 and Windows 10 (64-bit). Other key features of the Cam Link 4K include full-screen feedback (display), live editing, Ultra low-latency technology, direct storage (on hard drive) and more. 4K is the best obtainable camera resolution for now, and this resolution is not supported by any built-in computer webcam. While this is expected to change in the coming years (or even months), you can still enjoy an optimized 4K experience for playing live games, live video streaming or live chats. To achieve this, you need a 4K webcam. Although, only a handful of 4K webcams are available in the market, there are still a number of fake/less durable ones among them. Hence, we have outlined, in this article, five of the best 4K webcams for you.